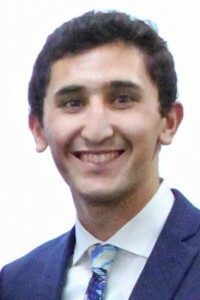 Experience: Hamed will be in Morocco from late May to mid-July to study Arabic through the Arabic Language summer study abroad program overseen by the Council on International Educational Exchange (CIEE). He has earned a competitive Benjamin A. Gilman International Scholarship from the U.S. Department of State’s Bureau of Educational and Cultural Affairs (ECA) to help support his educational experience. ECA fosters mutual understanding between the people of the United States and the people of other countries to promote friendly, sympathetic, and peaceful relations. Hamed worked on his scholarship application with Anne Sokolsky, associate professor of Comparative Literature, and Darrell Albon, director of International and Off-Campus Programs and administrative director of OWU Connection Programs. “Because the summer Arabic Language program is in Rabat, Morocco’s capital, there is the intersection of both domestic and foreign affairs. I will spend six weeks studying Arabic and Moroccan culture through the program’s ‘Modern Standard Arabic – Intermediate I’ and ‘Colloquial Moroccan Arabic – Beginning I’ classes. “My goal is to go to law school and eventually work in a Middle East and North Africa (MENA) country with a focus on business law. I was first exposed to this field two years ago when I interned at a law firm in Riyadh. The firm works with both domestic and foreign businesses to help them navigate Saudi Arabia’s laws and regulations. I was able to observe the work of the associates, participate in various client calls and meetings, and assist in writing the firm’s monthly client newsletter.